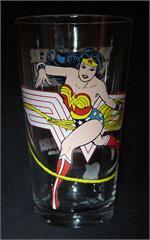 Remember when you could walk into a fast-food restaurant, pay a few cents extra, and get a real glass featuring your favorite comic-book or cartoon character? 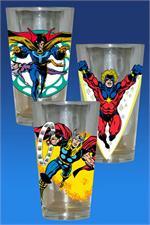 Remember how much fun was it to go back every week to see which glass would be released next? 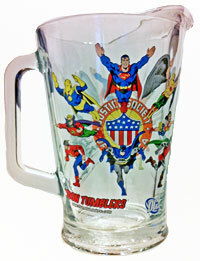 Well, you might be grown-up now, but PopFun is going to bring back that fun to your favorite barware with 'Toon Tumblers®, featuring your favorite classic animated, comic book and comic strip characters on high-quality pint glasses, shot glasses and beer pitchers (our high quality, US made, heavy duty barware is intended as collectibles and to be used by adults--it is not for use by children under the age of 13). A classic image of Asgard's favorite son. This dynamic, glossy image is available in both clear and frosted versions for a very limited time, so specify which you want in the comments field when submitting your order. 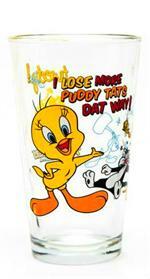 Tweety™:"I lose more Puddy Tats That Way." 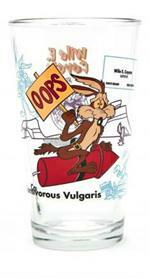 Wile E. Coyote™: "Oops. 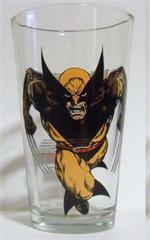 Carnivorous Vulgarus"
A dynamic Wolverine™ 'Toon Tumbler® to replace the out of production version. This glossy image is sure to attract the attention of all Marvel collectors. How many times have you found both the Silver and Bronze-age versions of Marvel's team of mutants on the same product? Available in clear only. 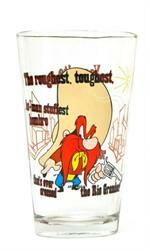 Yosemite Sam™: "The Roughest, Toughest, He-Man Stuffest Hombre That's Ever Crossed the Rio Grande"